We as licensed massage therapists want our colleagues, clients, and the community in general to view us as professionals, trusting us to know what we’re doing, keeping them and ourselves safe, and being able to make educated decisions and ethical choices. This fast-paced fun discussion-based class includes activities to learn about ourselves and our egos, our roles and boundaries, the importance of being able to say “no” and referring out when appropriate, and sharing of ethical dilemmas that can be solved using our brains – not our egos! 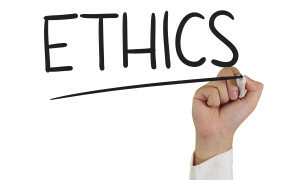 Four hours of ethics is a must have in PA for licensure – why not make it fun and relevant? This ethics class fulfills Standard V: Roles and Boundaries as required by the PA State Board of Massage Therapy. Please bring writing materials, some past or present ethical dilemmas of your own to share, and an open mind to this class! Registration Form: Please complete the following form to register for this class. Credit card and PayPal payments can be made below. To pay by check please mail check to Sage Continuing Education 719 Olde Hickory Road Suite B Lancaster, PA 17601 *Please note your name and class in the memo. Disclaimer: By completing this form, I understand and agree to the following: All CE classes taught by instructors affiliated with Geist Dunn Sage LLC; dba, Sage Continuing Education for Massage Therapy and the Healing Arts, are approved by the NCBTMB. I am responsible to find out if a CE class taught by an instructor affiliated with Sage is accepted by my State Board of Massage Therapy. (All classes are accepted by Pennsylvania.) Geist Dunn Sage LLC and/or any instructor affiliated with Sage is not responsible for any unintentional harm or loss that may occur to me, or my clients, before, during, or after a class. I understand that it is my choice to participate in the “hands-on” instruction, class activities, and promise to use the information and techniques taught to me in a legal, ethical, and professional way. I have read the description of the class(es) I have registered for and verified the acceptance of the classes by my State Board of Massage Therapy. Cancellation and Refund Policy: Student will be refunded 100% if class is cancelled by instructor. If student voluntarily withdrawals from a class 30 days or more prior to class date, he/she will receive a 100% refund (PayPal or credit card fees may apply). If withdrawal occurs 15-29 days in advance of the class date, student will receive a 50% refund (PayPal or credit card fees may apply). Student will not receive a refund if withdrawal occurs 14 days or less prior to scheduled class. A $25 rescheduling fee may apply. Special exceptions may apply. Classes are not guaranteed to take place and could be cancelled due to low enrollment, weather, etc. Please check with Sage before you make plans or hotel or travel arrangements. Please be sure to complete the Registration Form above before paying by credit card or sending your check! Copyright © 2019 Sage Continuing Education All Rights Reserved.